The Jacklon story began in 1930, with its first production of bath salts that the company also distributed. Santo Giacalone, progenitor of the family, founded the business in 1930. 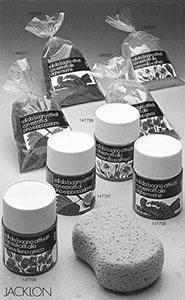 Sas S. Giacalone, as it was called back then, became a benchmark for bath products sold in groceries and chemist’s shops. The 1950s were marked by new mass consumption, which developed in conjunction with the advent of the first supermarket chains. 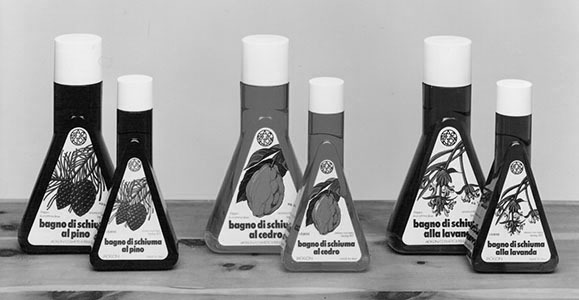 Esselunga and Upim opened their doors, with whom Jacklon collaborated from day one, consolidating itself with product lines which reached the homes of millions of Italians. Quality at accessible prices and optimisation of large-scale retail conferred definitive success for the company, with its own-brand products and those licensed to leading sector brands. The second Giacalone generation appeared on the scene at the end of the 1950s which fostered the business’s growth and development. 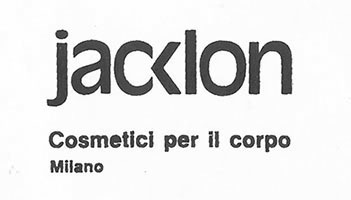 Sas S. Giacalone became Jacklon and expanded its facilities substantially. The new brand guided the company toward the emerging market of large-scale retail with the first national partnerships. Jacklon moved headquarters and built new premises for manufacturing and warehousing. The boom period began. Once Italy was conquered, the new frontier became the international markets. The 1960s and 1970s saw Jacklon reaching the shores of the United States with product lines specifically created for American consumers. As an exporter of Italian-made products, the company proposed soap, bath foam, shampoo and salts which came to symbolise personal care and Italian style, with exclusive packaging and containers created by top designers. The last two decades of the twentieth century marked yet another turning point for Jacklon: the third Giacalone generation, Annalisa and Riccardo, who placed even more emphasis on product quality and sustainability. Bottles shed their designer lines to promote transparency: the contents of the pack are visible for all to see and testifies the stability of the soap and shampoo formulas, which never change consistency, colour and leave no sediment with the passage of time. PET plastic containers were introduced in the same period, on the cutting-edge for preserving product stability. Today, Jacklon is on the forefront for respecting the environment and the individual, with quality certifications and controls conducted in all phases of the chain, all of which serve to safeguard the nation, production and the consumer. The company is ISO and GMP certified but continues to evolve. In addition to distributing Jacklon brand products, it supplies venture brand or private label products, as well as the leading brands of large-scale retail. The new challenge now is a world-class return on the international market, presenting the quality and attention to detail of Italian-made products overseas. As in the 1960s, it continues to be an Italian story of success and progress in 2019.